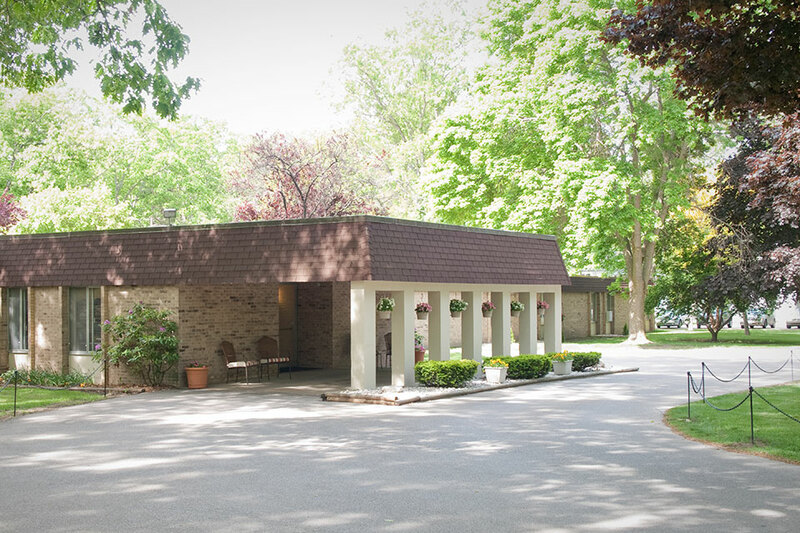 Nursing Home is pleased to be ranked as one of U.S. News and World Report's Best Nursing Homes of 2014. 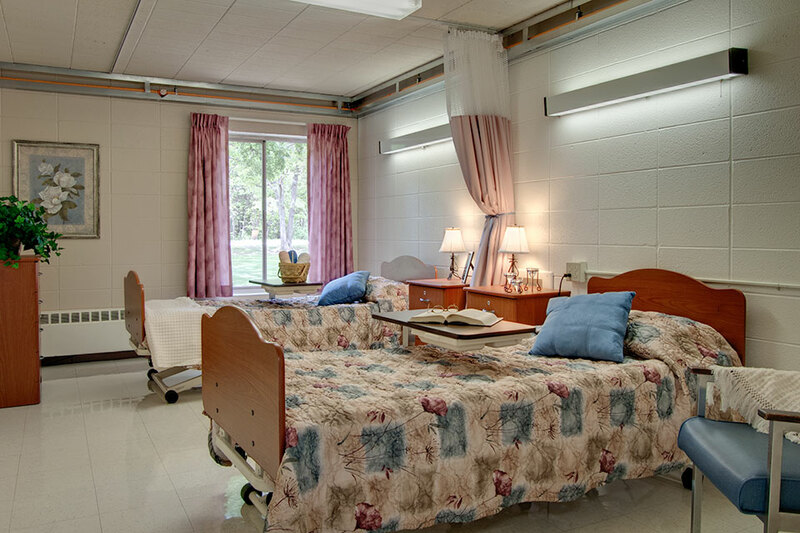 We are a leading provider of long-term skilled nursing care and short-term rehabilitation solutions. Our 93 bed center offers a full continuum of services and care focused around each individual in today's ever-changing health care environment. Ludington sits along the Gold Coast of Lake Michigan in western Mason County. Our center is Medicare and Medicaid certified. I chose this center because I was not ready to go home yet. Jill stood out to me- She’s an awesome aid and she brings joy into the room! Emily, Megan, both so kind and sweet! This building is clean and well maintained. The reason I chose this center was that I liked it! The staff is helpful and they helped me get better. Therapy stood out to me, they are good people to me and I couldn’t have done it without them. I like Emily and the rest of the girls that helped me! Bryce Griffes was admitted for rehabilitation after undergoing spinal surgery. Bryce loved maintaining his lawn, working in his flower beds and home improvement activities at his house. He even bought a brand new car! Bryce’s difficulties started in October 2017 after he turned 79 and started having problems with tingling and numbness in his legs and feet. By the end of December, Bryce was declining and started using a walker and was having a hard time getting around and completing activities independently. Bryce was diagnosed with neuropathy. By April 2018 he had sustained numerous falls and was unable to care for himself, and in May 2018 he could not get out of bed. Bryce reached out for a second opinion and underwent surgery for his spinal cord compression on September 4, 2018. The road to recovery was not easy for Bryce. 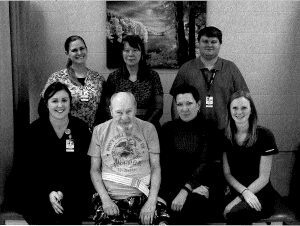 Bryce was dependent for almost all tasks when he initially admitted to skilled services including gait, transfers, and ADLs. During his stay, Bryce received physical and occupational therapy services. Treatment included bed mobility, transfer, gait, and AOL training, balance and strengthening exercises including postural control to increase his overall level of functioning. Bryce exceeded his goals of increasing his independence! When he discharged from skilled therapy service he was independent at four-wheel walker level and went home with his family and dog Otis! I liked the way they treated us. Just like family. All the staff was very good. The therapy department here really stood out and are helping so many people! Everything went well here at MediLodge of Ludington! I chose MediLodge of Ludington for myself because it was closer to home, family and more support. 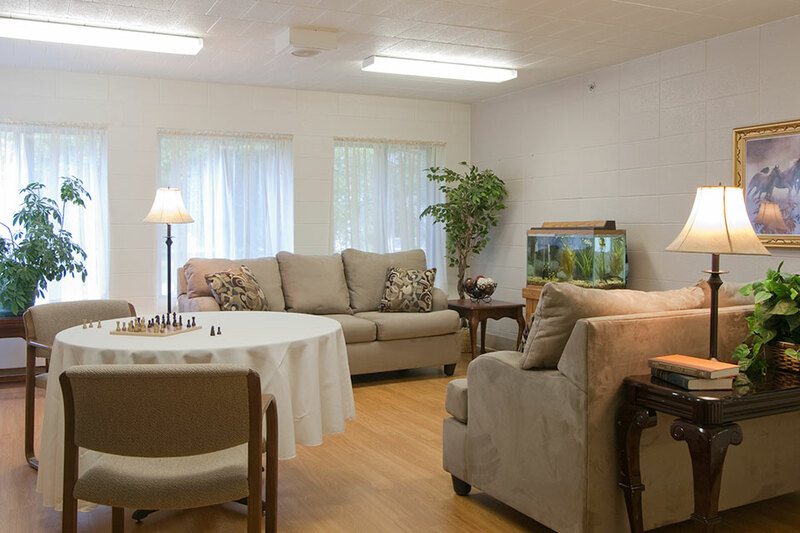 Therapy worked with me and got me walking again, and there was great care at MediLodge of Ludington throughout. I chose MediLodge of Ludington 4 months ago and it was excellent. The entire Physical Therapy team was great and put me right back on my feet. The staff is very nice and the food is an added bonus. The entire OT & PT team was outstanding. Considerable time was spent with Colleen, Michelle, Jessica, Dave, and Mary Catherine. The CNA’s were also great. Patsy, Jen, Brandi, and Austin were very great. The therapy team worked with the patient and the family. Educating both the patient and the family facilitates the transition to home life. Their patience with my endless questions was greatly appreciated. The care here was good! All the departments have a good relationship. Rehab was excellent—all the CNA’s, nurses, and office staff were extremely helpful! I was told MediLodge of Ludington had the best therapy and they were right! It is also very clean, and all the staff is great! The therapy department really stood out, also Bill, Mary, and Catherine are very professional and kind. I credit them for my fast recovery. Thank you to all the staff in therapy! I would like to thank the nurses in the main office and the staff for their concern. I would also like to thank the aides, Mary, Stephan, Nick, Ashley, Austin, Brandy, Rebecca, Cindy, and Miranda.